The digital edition has color versions of some of the black-and-white illustrations that appear in the print edition. The typical town springs up around a natural resource—a river, an ocean, an exceptionally deep harbor—or in proximity to a larger, already thriving town. Not so with “new towns,” which are created by decree rather than out of necessity and are often intended to break from the tendencies of past development. New towns aren’t a new thing—ancient Phoenicians named their colonies Qart Hadasht, or New City—but these utopian developments saw a resurgence in the twentieth century. 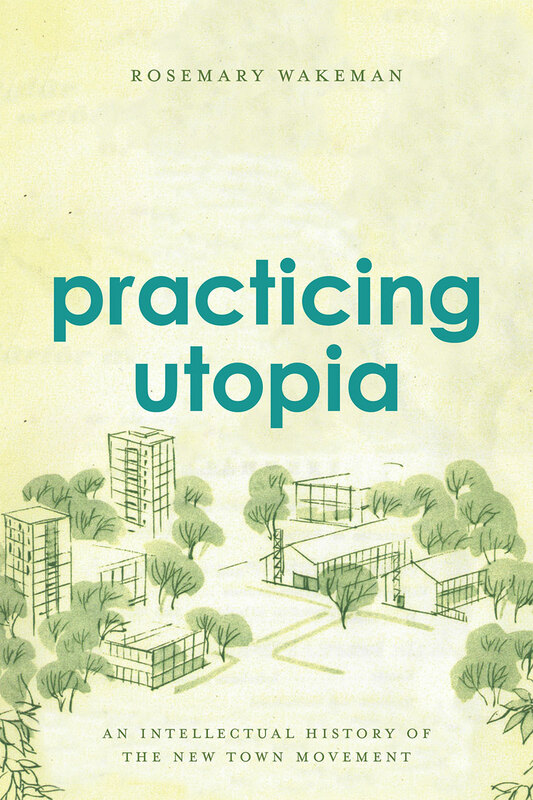 In Practicing Utopia, Rosemary Wakeman gives us a sweeping view of the new town movement as a global phenomenon. From Tapiola in Finland to Islamabad in Pakistan, Cergy-Pontoise in France to Irvine in California, Wakeman unspools a masterly account of the golden age of new towns, exploring their utopian qualities and investigating what these towns can tell us about contemporary modernization and urban planning. She presents the new town movement as something truly global, defying a Cold War East-West dichotomy or the north-south polarization of rich and poor countries. Wherever these new towns were located, whatever their size, whether famous or forgotten, they shared a utopian lineage and conception that, in each case, reveals how residents and planners imagined their ideal urban future.